We recognize that the key to customer satisfaction and success is delivering superior, cost-effective assembly solutions for our customers. Our commitment to continually combine and advance technology, engineering and quality enables us to produce assembly solutions and products that provide a competitive advantage for our customers. It is our passion that sets us apart. Our philosophy is driven by our Quality Vision - The Emabond brand value and brand promise express how our people engineer and create superior plastic assembly technology and are driven to collaborate, partner and offer better service for our customers. The Emabond Solutions Team will do business without borders by delivering the best possible quality solution regardless of the project or where it resides. 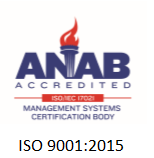 We are committed to compliance with ISO/TS requirements and to continual improvement of quality management system effectiveness.